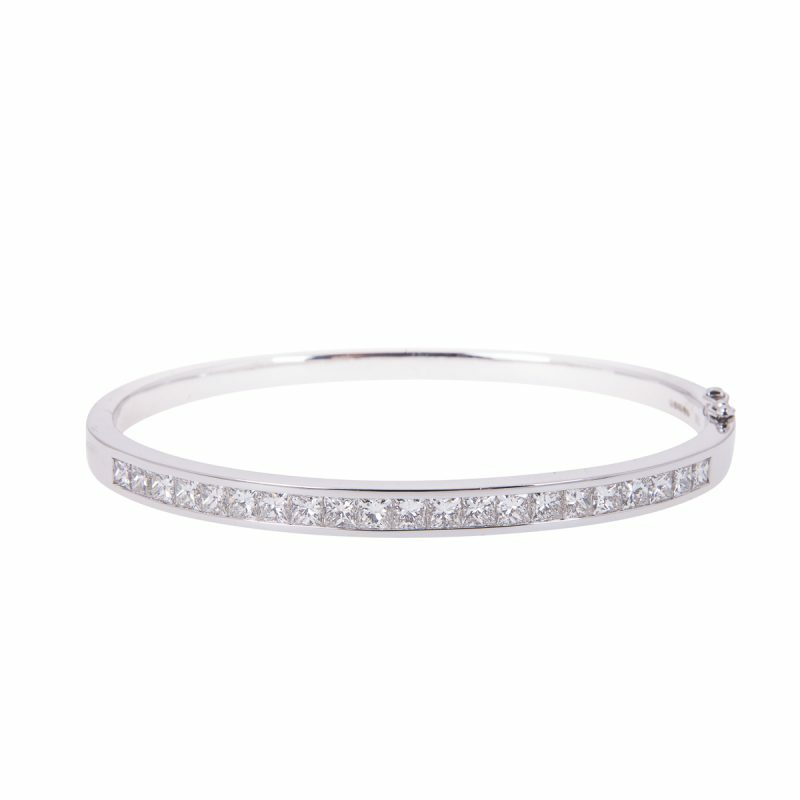 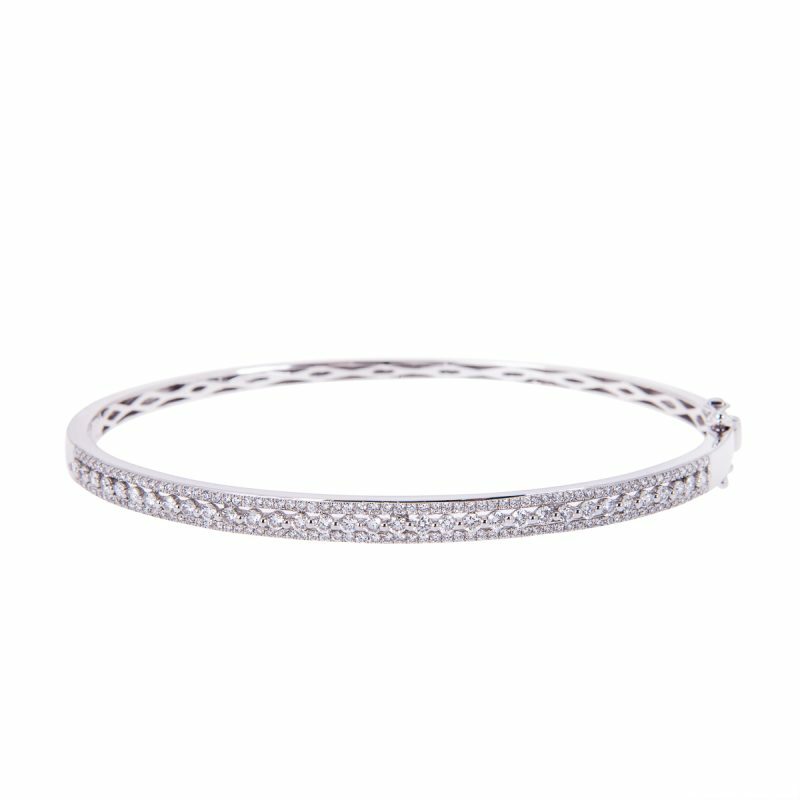 A breathtaking diamond cuff style bangle mounted with brilliant cut diamonds in an intricate pave set lattice design. 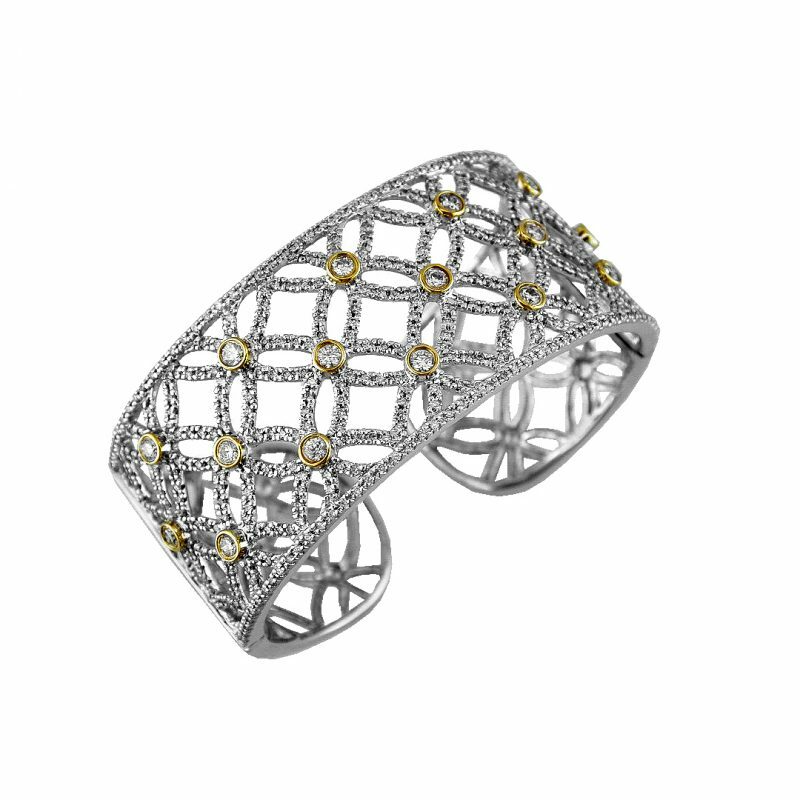 Accentuated by larger brilliant cut diamond encased in a yellow gold rubbed over setting . 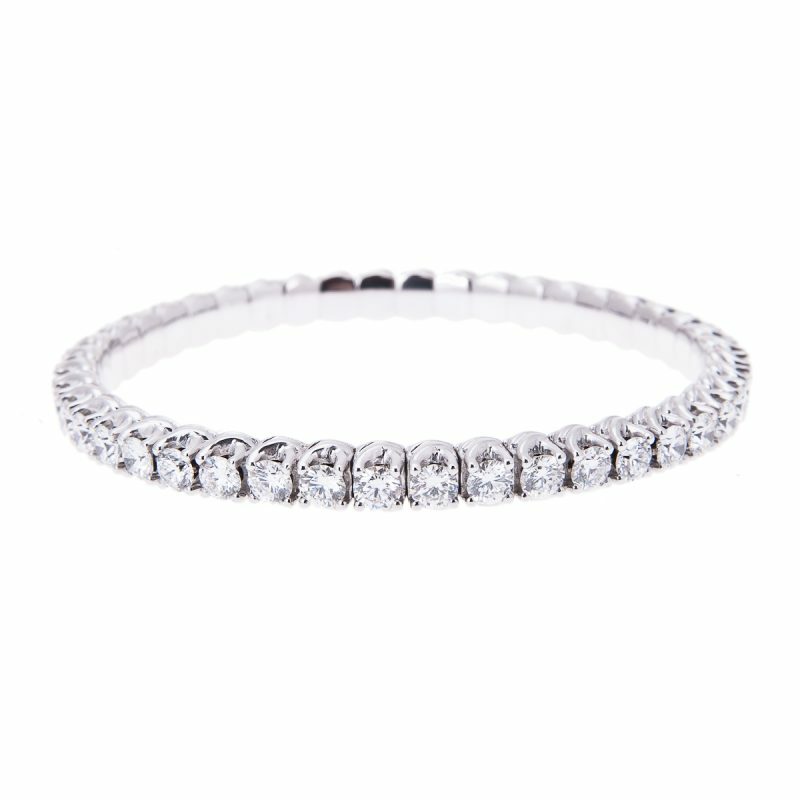 The endless circle of love transformed into this 14ct white gold and brilliant cut diamond bangle, each diamond reflects every colour of the rainbow.